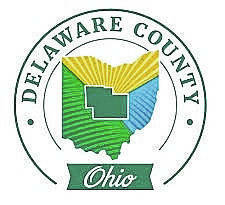 The Delaware County Board of Commissioners is seeking to appoint two members to the Delaware County Finance Authority, formally known as the Port Authority. This is a volunteer, unpaid position. The Board of Directors of the Authority is composed of seven members. All of the members of the Board of Directors shall be appointed by the Commissioners and shall possess the qualifications provided by Sections 4582.21-4582.59 of the Ohio Revised Code (the Port Act). The Board of Commissioners is seeking to appoint two members to serve term that will commence Jan. 1, 2019 and will expire Dec. 31, 2022. The Finance Authority shall be a body corporate and politic and shall have all of the powers now or hereafter granted to the port by the Port Act. The exercises of those powers by the Finance Authority are deemed to be essential governmental functions of the State of Ohio. The Finance Authority shall comply with all provisions of the law applicable to it. The Delaware County Board of Commissioners also is currently seeking to appoint a resident of Delaware County to the Delaware County Law Library Resources Board. This is a volunteer, unpaid position. The Law Library Resources Board consists of five members who serve five-year terms. The opening is for a term beginning Jan. 1, 2019 and ending Dec. 31, 2023. Members of the Delaware County Law Library Resources Board are appointed by the commissioners, judges and the prosecutor, with the Board of Commissioners having responsibility for two appointments. Completed board appointment applications must be received through the Applicant Tracking portal no later than 11:59 p.m. on Oct. 22.